Meanwhile, up in Ferry County…………..
You know the county, right? It’s the one tucked way up in the Northeast corner of Washington State bordering British Columbia. The county that does not have a single traffic light. 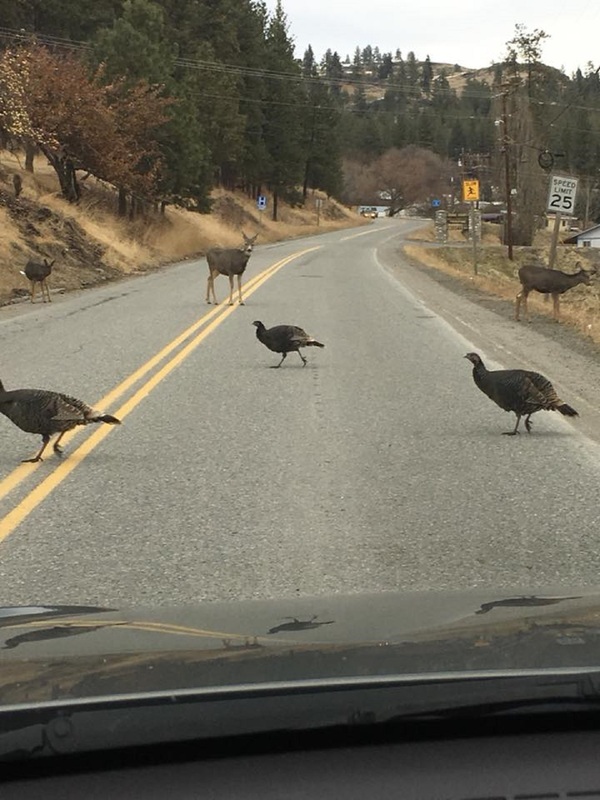 The county whose entire population of 7,582 hearty souls are out numbered by the White Tail Deer contingent, some Muleys and a few miscellaneous flocks of wild Turkeys. The county whose largest town is the old frontier gold mining town of Republic, population 1,069. The town where Deer and Turkey meander down the sidewalks and bed down on the front lawn of the county courthouse. Yes indeed, welcome to the Back of the Beyond up here in Ferry County, Washington! We have stunning mountain vistas, gorgeous sparkling lakes, abundant Trout fishing, excellent camp grounds whether you tent or RV and some pretty decent eateries too. Looking for some peace and quiet with a side of relaxation? We can help with that. So what are you waiting for? Come on up and pay us a visit. I promise you won’t regret it one bit. Let me take you on a little tour and show you some of the sights. Let’s say you’re coming up North via the Hwy 395 corridor through Colville and Kettle Falls. You cross the Columbia River/Lake Roosevelt and turn left onto State RT 21 at Barney’s Junction to start heading over one of the most scenic rides in all of Washington State. Sherman Pass! : You’ll be oohing and awwing for the next 50 miles over to Republic as you climb this winding road to the summit which at 5,575 ft, is the highest mountain Pass in all of Washington that is open year round. Along the way you can stop at the Log Flume Historical site to view a bit of logging history. Next up is the former CCC Camp with its written story, memorials and a beautiful sparkling mountain stream running through the middle. If hiking is your idea of fun, then stop at one of the many trails that are marked on the roadway. With a bit of luck you may see a Moose or 2, or a Black Bear. Maybe a Coyote or a Bald Eagle soaring overhead. Continuing on to the several overlooks that provide ample reasons for you to pull out your camera or just marvel at the vistas that the Kettle Range Mountains provide. Sherman overlook is magnificent. The White Mountain overlook is jaw dropping. Western Tamarack and Ponderosa Pine line the highway with a side of quaking Aspen thrown in for good measure. And yes, the Aspen really do quake! Heading down the mountain towards Republic you’ll have lots of choices to make. Turn right at the Pine Grove Junction and go a few miles to Gold Mountain RV Park. Featuring lots of large well kept pull through sites with full hookups and a wonderful lounge area. A few more miles and you’ll see the sign for Winchesters RV Park. Again, beautifully maintained large sites that welcome tents, RV’s and they have a few cabins too. Keep on going and you’ll find one of our hidden treasures, Curlew Lake State Park. This little gem of a State Park is right on the shores of Curlew Lake and has a fishing dock as well as a boat launch. Perch, Rainbow Trout and Tiger Muskie abound! Perhaps you’re in search of a cottage rental or RV site right on Curlew Lake. Look no further than these 3 wonderful places. Fisherman’s Cove is located on the East side of the Lake with plenty of cabins, a little store and an outdoor cafe serving breakfast, lunch and dinner. On the West side of Curlew Lake, off of West Curlew Lake Road, you’ll find Blacks Beach Resort which features lots of RV sites and a few cabin rentals. Our famous Rail Trail runs right along side of it. A few miles North you’re going to find Tiffany’s Resort with cabins of all different sizes and several RV sites with full hook ups. Lots of dock space for your boat too! Not looking for fish? Well, how about a real working guest ranch? The K Diamond K is a cattle ranch with Long Horn Cattle and more. Take a Horse ride through spectacular scenery. Relax in the stunning Western Ranch Lodge. Enjoy ranch style meals served family style. The McKay-Konz family will take real good care of you. Nobody leaves there hungry and everybody wants to come back. More of a town person, are you? Well, Republic has it all. The Northern Inn is styled as a frontier Hotel with all modern amenities. Their lobby is a treasure! The Prospectors Inn is also a “wild west” style Hotel that provides a light breakfast for guests. Don’t forget the Klondike Motel, so popular with the hunters who arrive every Fall! Shopping? Yes indeed, we have have great shopping! Head over to the Outfitters and see Arwen for stylish clothing, work ready clothing, yarn, sewing supplies, and much more. One block down is Tagg’s where Karla will set you up with clothes featuring the Republic Washington logo as well as shoes and boots. She has lovely gifts as well. Our very own Gold Mountains Gallery is a treasure for sure. Showcasing exquisite Arts and handcrafted items made by local Artisans. Surely you will find something just perfect for your home. Craving your coffee fix? Head across the street to Sparky’s Coffee House for the best coffee around! Gifts and Ice Cream too. Its the most charming little place. If you’re on vacation you certainly won’t want to be cooking every night, so how about trying one or all of our hometown restaurants. The Knotty Pine serves up wonderful breakfasts and their BBQ Burger is a favorite of mine. The Republic Pizza Company will hand deliver your order to The Republic Brewing Company. Madonna’s is a bar with heart, a pool table and good food. Esther’s Mexican Restaurant also features fabulous burgers made from all natural grass fed beef. Freckles serves up delicious home smoked meats and other gourmet treats. Try Crystal’s Friday Fish Fry. Just outside of town is the Pine Grove Junction known for producing the biggest Pancakes you’ll ever see! Steve-O’s is the place for fantastic pizza, wings and Milkshakes. Groceries? Anderson’s has it all. They feature home grown produce in season. The Republic Market is a full grocery store and also have an excellent variety of wine and Liquor. Fishing Tackle, bait and electronics? Head over to Eich’s Merchantile where Stan will set you up with all you need. Camping supplies, grills, chairs, plumbing needs? Harding’s Hardware has it covered. Shane and Mike provide the friendliest service around! Looking for an activity that the entire family will enjoy? Mosey on down to The Stone Rose Eocene Fossil Center. Your whole group will have a blast digging fossils and touring the visitor’s center. History buff? Drive north on SR 21 towards Curlew. On the right side you’ll see the Husky Car and Truck Museum. Featuring antique vehicles of all shapes and sizes, they are open weekends this summer. 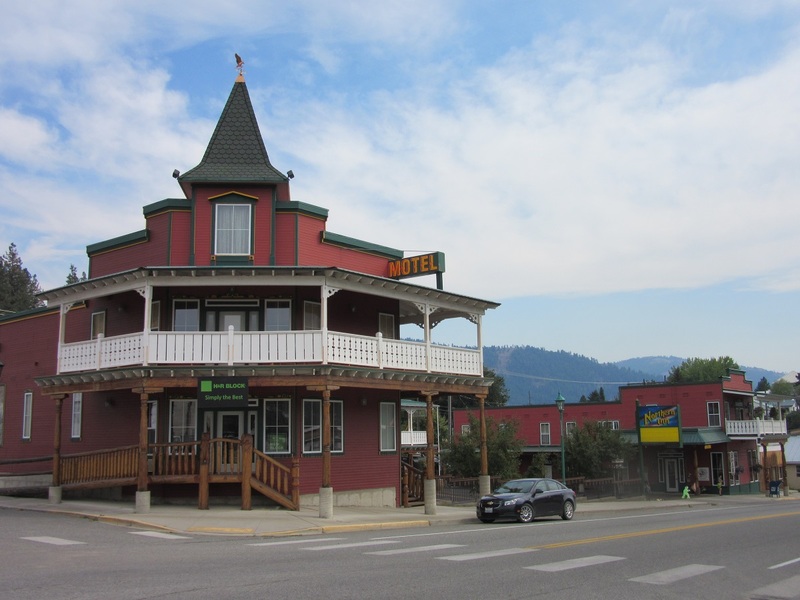 Continue on down the road into the tiny town of Curlew and pay a visit to the historic Ansorge Hotel. Beautifully maintained and full of lovely antiques, they provide guided tours every Saturday from 12n-4pm. The Republic Brewing Company, known by locals as “the Brew Pub,” features fantastic beer that Billy Burt creates in a laid back atmosphere where guests are encouraged to bring their own food, play a board game or enjoy live music. 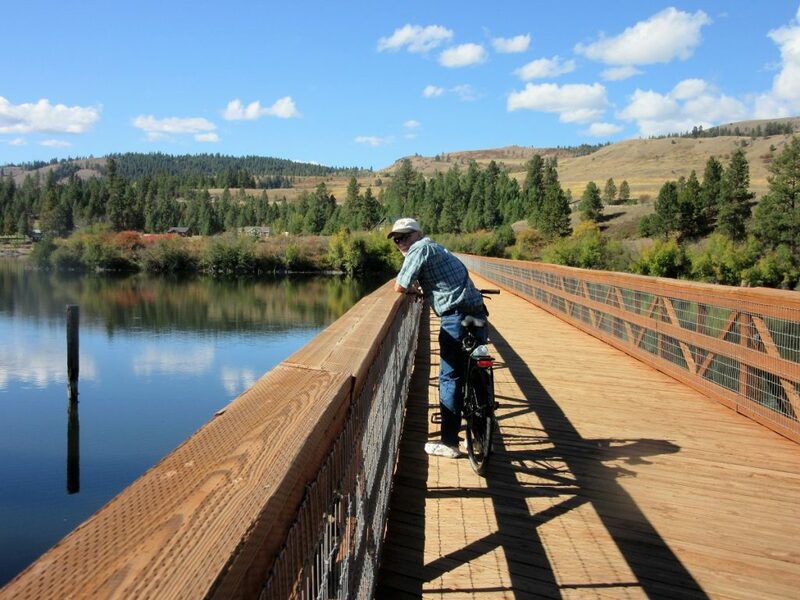 Here’s more: Walk, hike or bike our fabulous Rail Trail that runs along Curlew Lake and the Kettle River all the way from Republic to Danville. Maybe spot a Loon, Deer or one of many other wildlife along the way. Love airplanes? Come up August 24-26 the for the Wings over Republic. 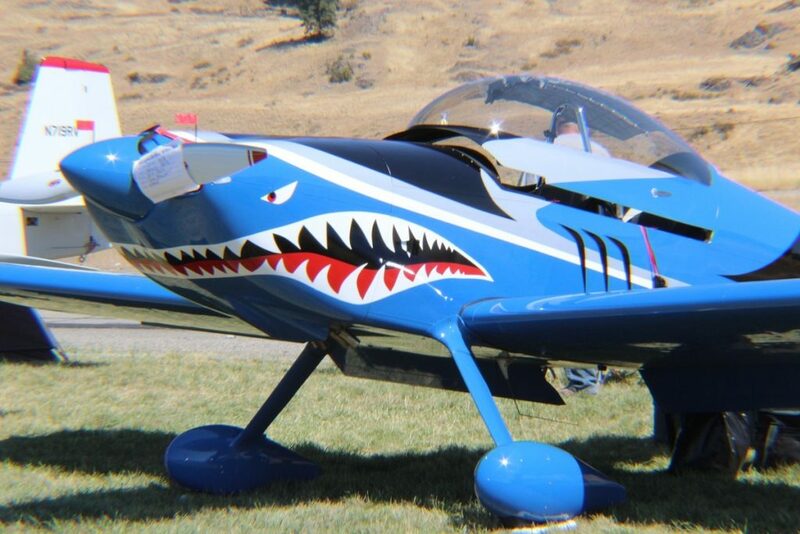 See hundreds of aircraft that arrive for our annual “fly in.” Enjoy a Steak dinner and visit with the pilots. One of many unique planes at the Fly In. Float the Kettle River! That’s right. Bring a float, a cooler with some iced beverages and spend a couple of hours slowly drifting down the Kettle River. 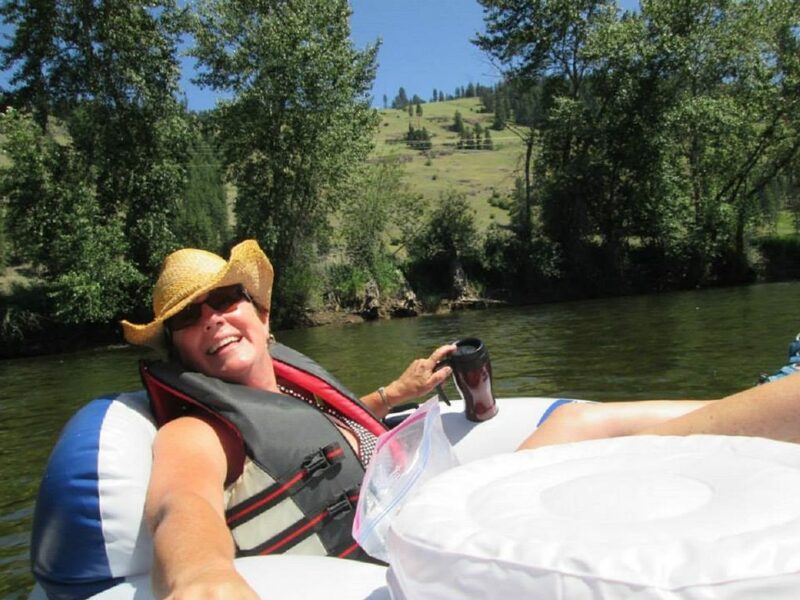 Yours truly floating the Kettle River! Car racing your thing? The Eagle Tract Race Track will be in full operation this summer. Come see the Sprint cars and more. Our Republic Drug Store will take care of your Pharmacy needs but their gift shop is so unique and the book store features all the history of Ferry County and more. A Co-op? Yes! We have a much loved co-op serving fresh baked goods, soups, wraps and more. Bulk herbs and spices along with Organic Produce, all at very reasonable prices. Yes. Welcome to Ferry County! I’ve just touched on a few of what we have to offer way up here in the Back of the Beyond. I truly hope you’ll pay us a visit. And then, like so many folks who have visited our fair land, you won’t want to leave. I know I don’t. Who knows, maybe I’ll run into you in town, or on the Lake, or floating the Kettle or chowing down on Pizza at Steve-O’s. Oh and BTW……Ferry County is open 12 months of the year. You should see us in January. Talk about beauty! Karen, you need to be hired to help the Republic tourism office (person)!! Your turn of phrase and your descriptions are so vivid that I can see them in my head and really want to be there to experience those sights!! You are very gifted!